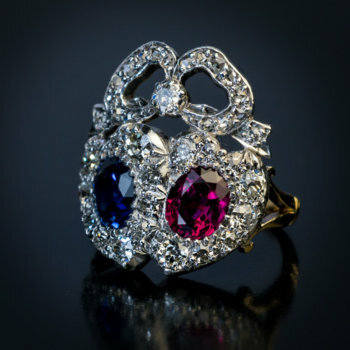 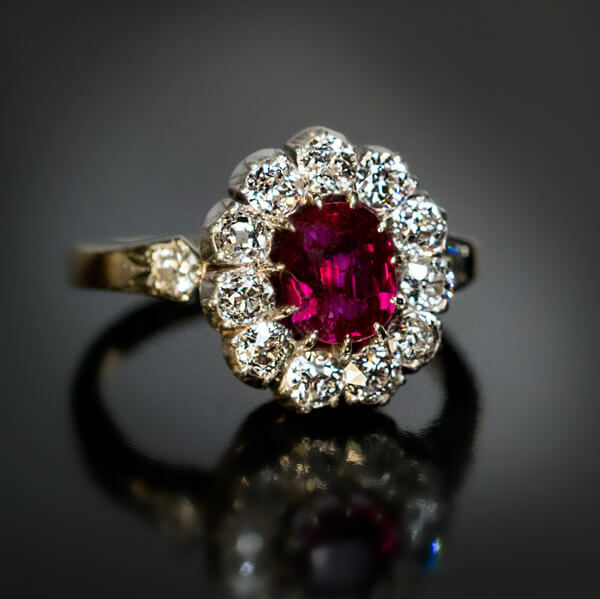 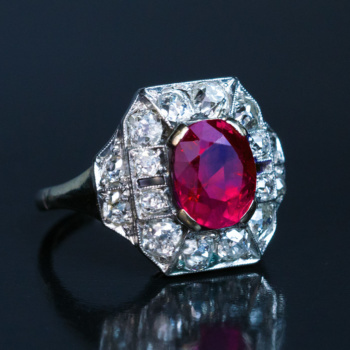 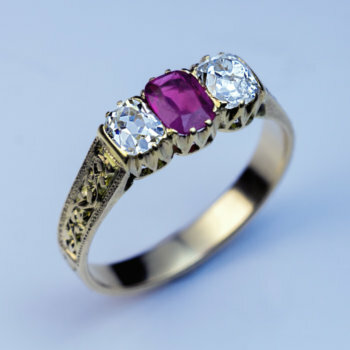 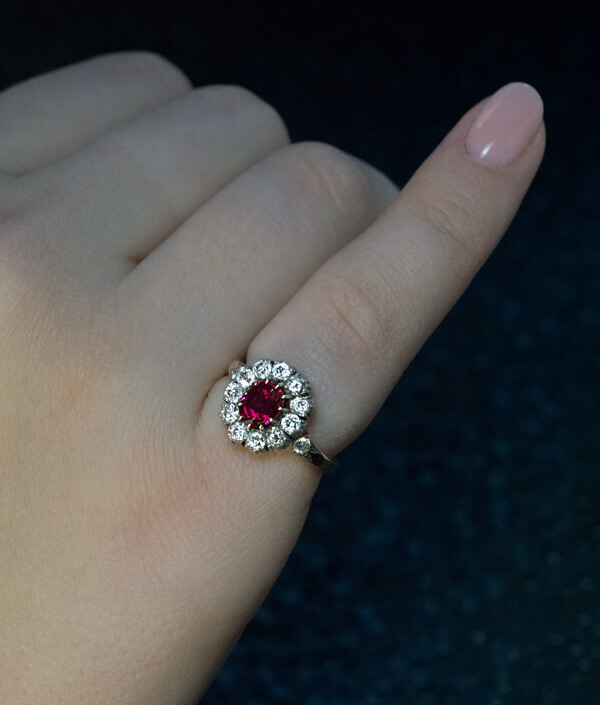 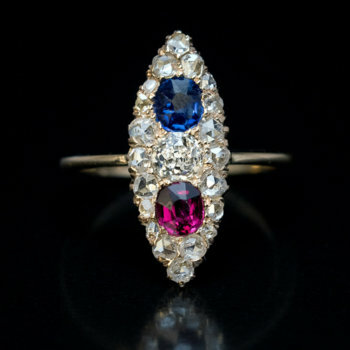 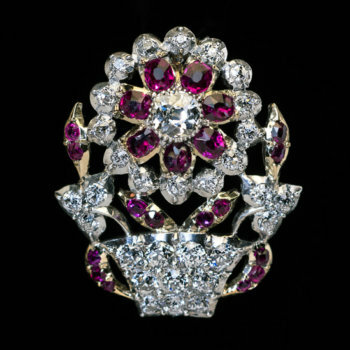 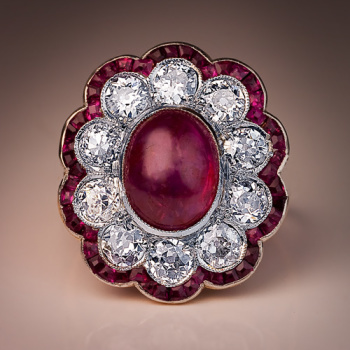 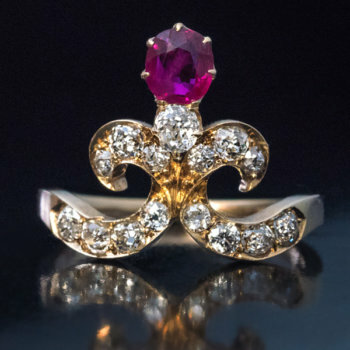 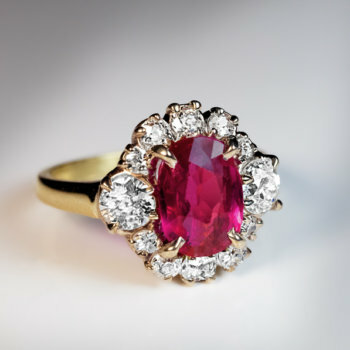 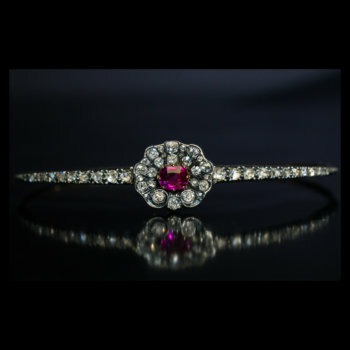 An antique Victorian cluster ring handcrafted in silver topped 14K gold is prong-set with a fine natural ruby (likely of Burmese origin) surrounded by eleven bright white old European cut diamonds (G color, VS1-VS2 clarity). 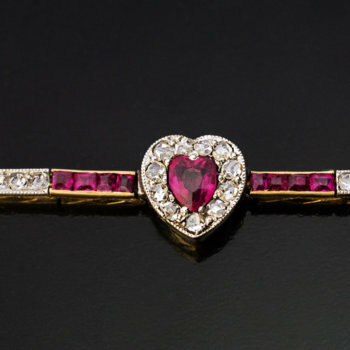 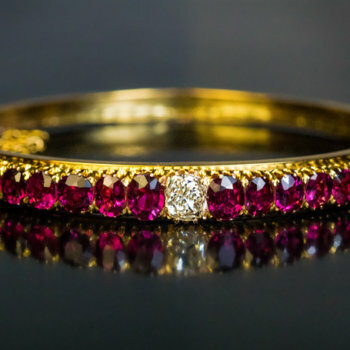 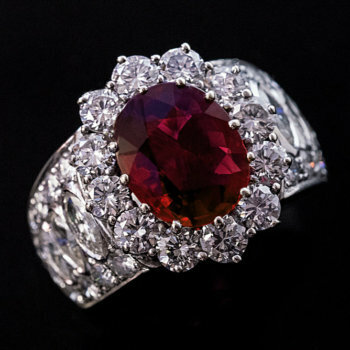 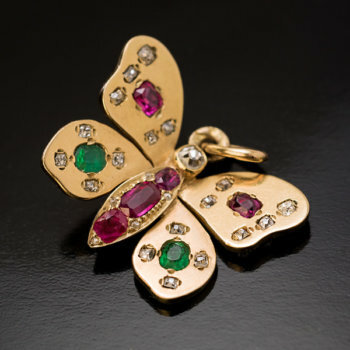 The ruby measures 6.21 x 4.79 x 2.7 mm and is approximately 0.64 ct. 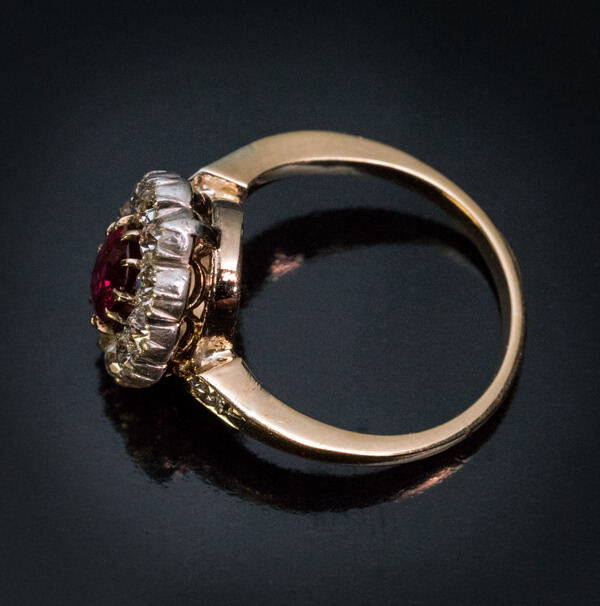 The shoulders of the ring are accented by two modern cut diamonds (a later replacement). 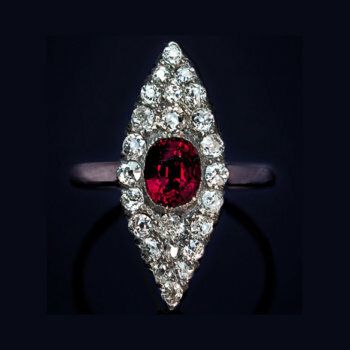 Estimated total diamond weight is 0.72 ct.